Today I played in the Halls of Valor dungeon as a Shadow Priest in World of Warcraft: Legion Alpha. Something I had observed lately is that no matter what level you are your gear is scaled up. 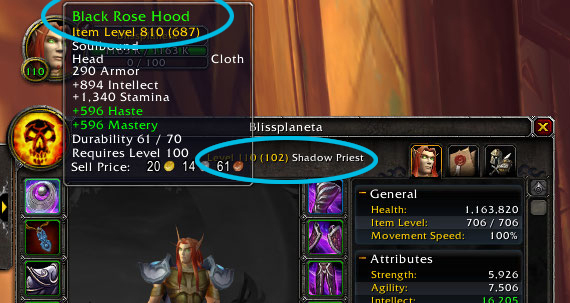 My shadow priest is level 102, but in the Halls of Valor dungeon my level was scaled up to 110. My item Level is 706, but it was scaled up to 810. These are the Shadow Priest spells in World of Warcraft: Legion.